When you buy a house, you want to know as much as possible about the property. Hiring a home inspector is a good way to learn more about the property condition of your potential home. It’s for this reason that real estate professionals recommend that you have a property inspected immediately after contracting. A HOME INSPECTION IS A VISUAL EXAMINATION OF A PROPERTY’S STRUCTURE AND SYSTEMS. It is different from an appraisal, which is an opinion of value. By contrast, a home inspection is a written report of a home’s physical condition at the time of the inspection, by a trained inspector. At the time of inspection – the inspector can not forecast how long before there is a problem with the system or appliance. Don’t forget to get an inspection for Wood Destroying Insects (WDI) as well. Many inspectors are licensed to perform this service. Keep in mind that the inspector’s job is to report only what is visible and accessible. He will not move boxes, furniture, appliances, etc., nor will he climb on a steep roof. He will report cracks in a wall but won’t be able to examine a slab foundation underneath wall-to-wall carpet or other types of floor covering. Your inspector may find issues that you would like to have inspected by a specialist, such as a structural engineer, electrician or plumber. Once again, your real estate professional can help facilitate further inspections through the seller’s agent. This may involve an extension of the contract option period, which must be agreed to by all parties. HOME INSPECTORS DO NOT REPAIR DEFECTS. For example, the inspector may report that the water meter still runs even though there is nothing in the house using water, which indicates a leak. However, you need to hire a plumber to investigate the problem. One tactic is for a home seller to have the home inspected prior to listing for sale. This will give the seller a better understanding of the condition of the property and may help your home sell faster and at a higher price. 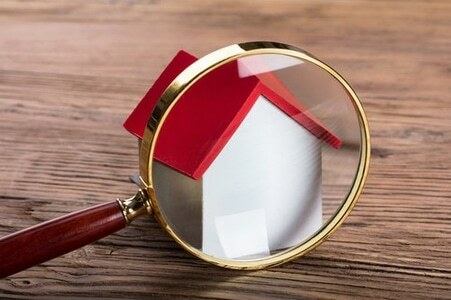 They can make repairs in advance of showing the home and include the inspection report and repair receipts along with their Seller’s Disclosure. This in no way replaces the buyers’ due diligence to have the property inspected. Home inspectors are licensed by the Texas Real Estate Commission and are required to use a common form and follow certain standards of practice for all inspections. You can count on us to help guide you through the process – contract to close!